Best New Fantasy & Sci Fi Books: September 2017 | Nerd Much? 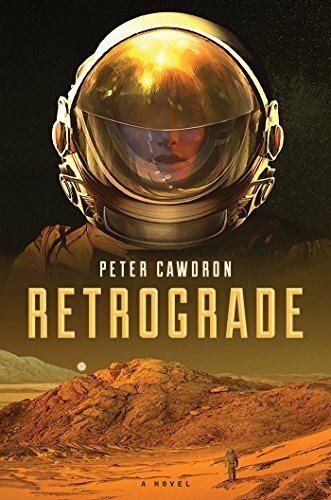 Magicians, cyberpunk, stranded on mars, and more. 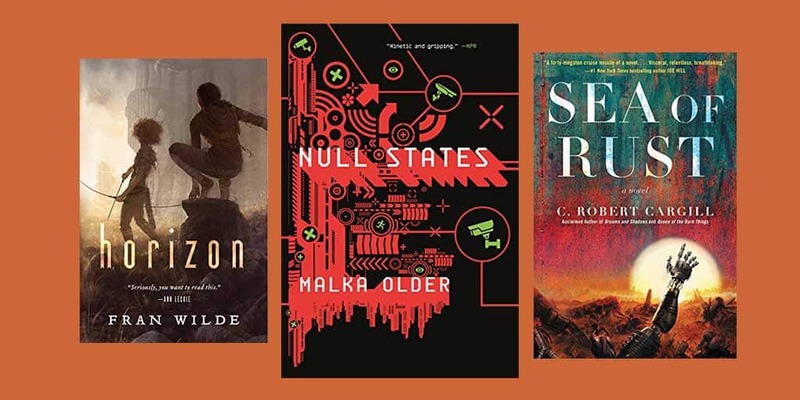 As summer draws to a close and we look ahead towards fall, pumpkin spice lattes and leaves changing are not all we have to look forward to; there is a slew of highly anticipated fantasy and sci-fi releases coming out, as well as several gems from brand-new and lesser-known authors. 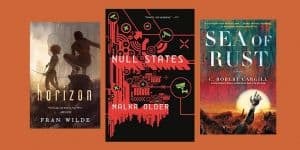 As usual, we’ve sifted through all the new sci-fi books coming in September and carefully curated a list of the most anticipated. So if the colder weather has you staying indoors and looking for new books to read, here are all the upcoming sci-fi and fantasy books for September that you should consider. And, as always, sorry in advance about your to-read list; I feel your pain, I really do. **Update 10/3: Our list of the best new fantasy and sci-fi books of October 2017 just went live this morning. Be sure to check that out. 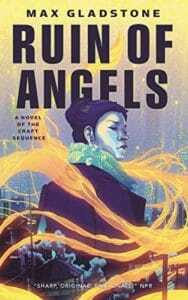 While many of us might be growing sick of urban fantasy, one of the series that is highly touted in the genre is the Craft Sequence by Max Gladstone, and on September 5th, the sixth installment in the series will release with Ruin of Angels. 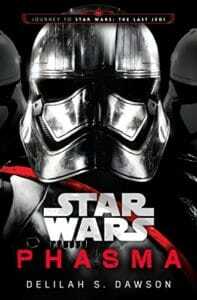 This series is loaded with originality, and the early rumblings about it are that it’s extremely good. Agdel Lex is a creative world, where a massive squidlike tower centers across the skyline, and all sorts of characters travel the streets. 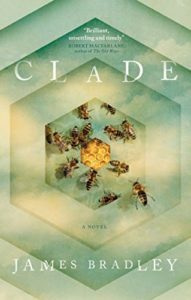 Main character Kai makes some surprising choices in this sixth novel, and it’s suspenseful, action-packed, and has a female-led cast. In The Salt Line, deadly ticks can dictate your actions; or, in this specific novel, the actions of an entire nation. 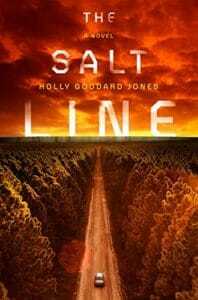 In this new dystopian novel you’ll find a gripping story of survival and humanity that revolves around the salt line, a ring of scorched earth around the U.S. border that protects it from those deadly ticks. Only few have a reason to leave the zone to which they’re basically quarantined to, save for adrenaline junkies out for a thrill. In a recent expedition outside of the zone, a trio (Edie, Wes, and Marta) finds themselves overrun by the deadly ticks and at the center of a murderous plot involving outer-zone survivors. Now, the group must find a way home by any means necessary. 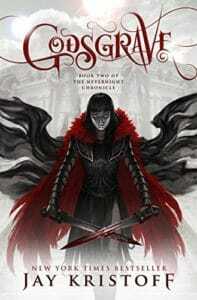 The second book in the popular, award-winning Nevernight Chronicle series by author Jay Kristoff is named Godsgrave. It follows Mia Corvere after she has found her place in the Blades of our Lady of Blessed Murder, and now the Red Church hierarchy think she isn’t worthy yet. Following a deadly confrontation with an old enemy, Mia’s suspicions about the Red Church’s true motives begin to grow. With Kristoff being a New York Times Bestseller, chances are that Godsgrave will be another fantasy hit. 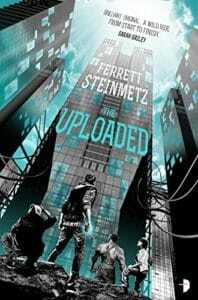 Cyberpunk worlds always get our attention, and The Uploaded by Ferrett Steinmetz is no exception. It’s set in the near future where all of the elderly have moved online and live within a computer network, tasking the living with maintaining their servers for their digital heaven. While it sounds eerily similar to an episode of Black Mirror, we’re still excited to see how it plays it in novel form. 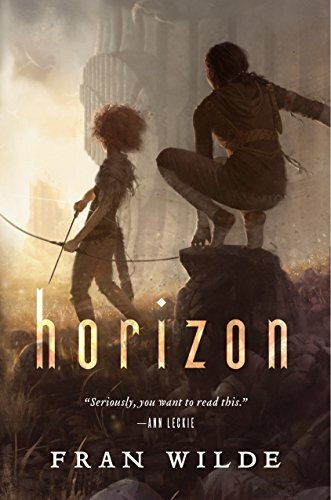 Now, an orphan boy and his sister realize they want more for themselves than just catering to the needs of the dead, and it turns out there are others who feel the same way. 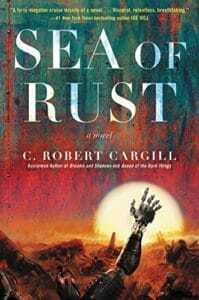 Sea of Rust by C. Robert Cargill is described as a robot western, and if that isn’t enough to bring you in, than this post-apocalyptic sci-fi book probably isn’t for you. It follows Brittle, a scavenger robot that wanders the wasteland 15 years after the last human being was killed by robots. With humankind extinct, the world is now controlled by an OWI (One World Intelligence), which is a shared consciousness of millions of robots. But not all robots have ceded their individuality and personality. These robots are considered outcasts, and they’ve formed an unruly civilization of rogue robots. With Brittle being haunted by the terrible crimes his kind has committed to wipe out humanity, he’ll have to find a way to survive in this hopeless future. 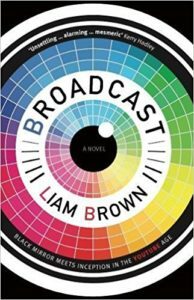 Br oadcast by Liam Brown undeniably sounds like something out of Black Mirror, so it’s going to strike a cord with sci-fi lovers, especially. In Broadcast, people watch MindCast, a revolutionary online show where people have a small chip is inserted into their skulls and every thought, feeling, and memory is streamed live, 24 hours a day. When David Callow is offered the chance to broadcast his everyday life, he jumps at the opportunity, becoming a viral sensation beyond his wildest dreams. But he soon realizes the downside of having all of his secrets shared with the world, and he has become a prisoner of his new found fame and his own thoughts. Now, he wants the chip removed, only to discover that the show’s creator has a chilling secret and terrifying ambition for the show. 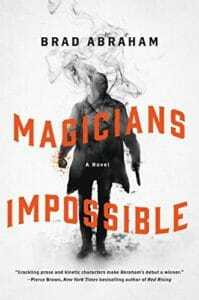 Jason Bishop, a twenty-something bartender, is torn apart following the suicide of his estranged father, but then he discovers his father was actually a secret agent for an ancient society of magic-wielding spies, The Invisible Hand, who are in the middle of a centuries-spanning war. Now, it appears that the death of Jason’s father and mother was at the hand of the Golden Dawn, the shadowy cabal of witches and warlocks and enemy of the Invisible Hand. The Golden Dawn now has their sights set on Jason, who soon discovers he has a set of his own dormant magic abilities. Jason’s journey will take him from New York to Paris to worlds between worlds, and he’ll have to determine whom he can trust and who is out to get him as he is still learning how to use his powers. Imagine being on Mars when a catastrophic disaster strikes Earth. 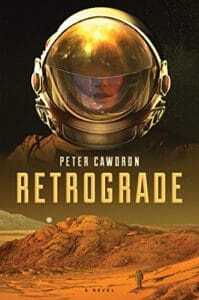 That’s exactly the premise of Retrograde by Peter Cawdron. It revolves around the Mars Endeavour colony, a team of 120 scientists who are buried deep beneath the surface of Mars to protect them from the planet’s radiation. Now, they’re faced with a tough reality: going back to Earth will never happen. When society heavily favors males in every way, what happens when a One Child Policy creates the desire to have a son? What happens when 40 million men can’t find wives because there are no females to marry? 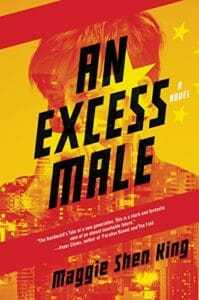 This is the loose premise of An Excess Male by Maggie Shen King. China’s brutal One Child Policy and cultural preference for males has created a society where men significantly outnumber women, and An Excess Male will follow one man’s quest for love and a family under the State. It’s a startling tale that delves into the real-life ramifications of a real issue. 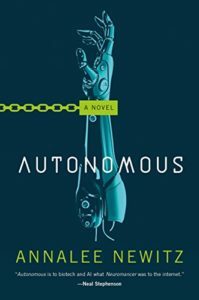 Autonomous by Annalee Newitz is a new sci-fi book coming this September that’s set on Earth in the year 2144. It follows Jack, a pharmaceutical Robin Hood who fabricates cheap scripts for the poor who can’t otherwise afford them, delivering the drugs in a submarine. Unfortunately, her good intentions become problematic, as her latest drug hack leaves a trail of overdoses that causes those who take it to become addicted to their work until the repetition of their tasks drives them insane or makes them unsafe. To stop Jack, a military agent by the name of Eliasz will take his robotic partner, named Paladin, to prevent the details of Jack’s drug from being publicized. It will delve into some interesting topical debates, with a focus on whether or not freedom is possible in a culture where everything, even people, can be owned. 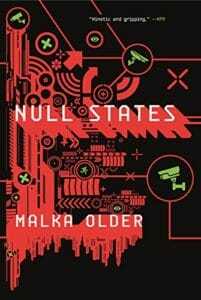 Null States by Malka Order is a post-cyberpunk, political technothriller that’s a follow-up to Infomocracy, the award-winning sci-fi book that released last year. The name of the series is The Centenal Cycle, and this is book 2. Now, instead of massive countries with their own leaders, the world lives in Centenals, micro-democracies of 100,000 people each. There’s a global election every ten years, with each person being able to vote for any party they want. 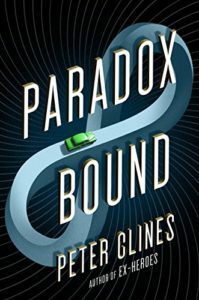 Paradox Bound revolves around Eli Teague, a normal man who wants to leave his hometown except he’s been waiting for a time traveler (who has visited him twice before) to return and give him some answers. The time traveler has appeared twice before, dropping by just long enough to provide tidbits of knowledge, leading Eli to believe she is being pursued by something (although, he doesn’t know what exactly). When the mysterious traveler appears for the third time, Eli tries to get some answers, only to bite off more than he can chew. Now, he must embark on a breakneck chase across the country and through time with America’s past, present, and future at stake. 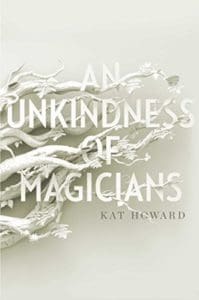 An Unkindness of Magicians is a fantasy thriller set in New York City where a dark secret hides at the heart of the city and diminishes the power of the magicians within. In this version of NYC, magic controls everything, but now, the power of magic is fading. The story will follow Sydney, a new magician with incredible power who may be the only person who can stop the dark forces that are all around. But to do so, she’ll have to sacrifice other magicians, as she is a part of the House of Shadows, which controls the magic and increases in power with each sacrifice. Sci-fi fans should already know the name Ann Leckie, the Hugo, Nebula, Arthur C. Clarke award-winning author. 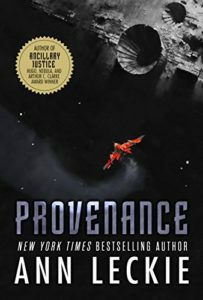 Now, she returns with her latest novel, Provenance, which will center around a power-driven young woman who seeks to regain priceless lost artifacts prized by her people. But to do so, she’ll need to free a thief from a prison planet in which no one has ever returned from. But when she returns to her home world, she’ll find her planet in political turmoil and herself at the center of an interstellar conflict. The Bone Universe trilogy comes to an end with Fran Wilde’s third installment, Horizon. A City of living bone towers crumbles to the ground and danger abounds. Kirit Densira has lost everything she loved the most—her mother, her home, and the skies above. Nat Brokenwings—once Kirit’s brother long before the rebellion tore them apart—is still trying to save his family in the face of catastrophe. They will need to band together once more to ensure not just their own survival, but that of their entire community.